Kevin Eltife joined the UT System as an outspoken critic. Now he might reshape it. 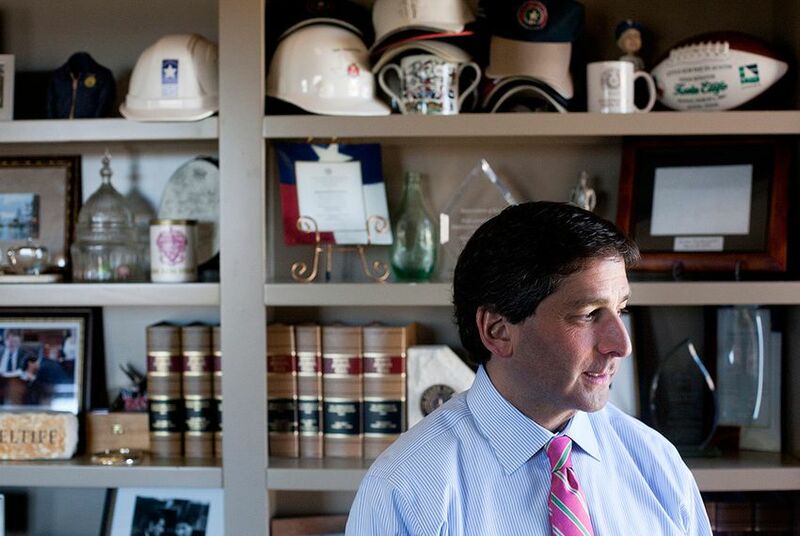 As the search for a new chancellor gets underway, Kevin Eltife – a University of Texas regent and former state senator – is heading a task force that could broadly reshape what the UT System looks like. When former state Sen. Kevin Eltife was appointed last year to the University of Texas System Board of Regents, he arrived with an attitude shared by many of his old colleagues: skepticism. Lawmakers had said they were fed up with spending in UT System offices, concentrating their ire on a $215 million land purchase in Houston and a ballooning administrative headcount. Like them, Eltife came in casting a critical eye on system growth and on the ambitious but expensive proposals championed by its leadership. Less than one year into Eltife's tenure on the governor-appointed board, lawmakers indignant about system growth have a development they can cheer: Eltife might now be the best-positioned person in the state to rein in, or recalibrate, UT System spending. UT System Chancellor Bill McRaven, who bore the brunt of lawmakers' pique, announced last month that he will step down in the spring for health reasons. And while the system searches for McRaven's replacement, Eltife will chair a committee that could bring big changes to the spending and scope of the system's offices. Administrative bloat, system initiatives and the UT System administration's mission are all under the purview of Eltife’s four-person task force, which is expected to deliver recommendations to the full board of regents by July. Eltife said McRaven encouraged regents to pursue the task force and is willing to assist with its work. In a statement, McRaven said the committee's review is strategic, timely and a healthy practice "for the governing board of any organization over which it has fiduciary and policy-making responsibility." “Our real goal is: How do we have a lean efficient operating system that's serving our institutions?” Eltife said. An alumnus of UT-Austin who has served on the state’s Higher Education Coordinating Board, Eltife is well regarded among his old peers in the Legislature as a moderate Republican and independent dealmaker – a person, Republican state Sen. Paul Bettencourt of Houston said, who can restore trust after a legislative session that left some higher education leaders and lawmakers feeling bruised. Eltife has a “real eye towards economy,” said state Sen. Kel Seliger, R-Amarillo, who chairs the Senate Higher Education Committee. He’s not going to succumb to the “bureaucratic type of habit” of dragging out the task force’s timeline, Seliger said. Lawmakers who’ve worked with Eltife tout his plainspoken affect and his ability to read a balance sheet. But personal endorsements aside, it’s easy to see why they’re pleased Eltife is heading the task force: He shares their views. Like those lawmakers, Eltife has largely argued that the UT System should shed costly initiatives and retrain its focus on serving the 14 universities and medical institutions it oversees. When the system decided to vie for a contract to manage the Los Alamos National Laboratory – an opportunity supporters said was lucrative and prestigious, but was said to cost over $4 million to bid for – Eltife echoed Longoria, another regent, when she said the project was “outside our mission." Even bidding, opponents suggested, would divert resources away from students – especially against the backdrop of declining state funding for higher education and mounting concern about rising tuition costs. Eltife previously served three terms as the mayor of the East Texas city of Tyler, home to two of the UT System’s institutions. There, he championed debt-reduction initiatives and worked with “the people in the trenches” to build consensus – an approach he said he’d apply to the task force’s work. The committee will talk to system staff and institution leaders, Eltife said, and solicit legislators’ input. A contractor is expected to be hired to help task force members set up interviews and prepare the report, and an update will be given to the regents in March. Sara Martinez Tucker, the chairman of the board, said while lawmakers and regents have asked questions about system- and board-led initiatives, the Legislature played no role in creating the task force or crafting its charge. She said past regents have also done "deep [dives] into the system administration's mission and purpose" during "pivotal times," with an eye toward ensuring the system was "equipped to address the ever-changing opportunities and needs of its institutions and the state." A memo outlining the task force's work characterized the review as an exercise in good governance. It did note that regents were concerned by swelling head counts in the system’s administrative offices – which, the memo said, rose some 63 percent in five years – even after personnel cuts made under McRaven. System administration budgets grew 112 percent in the same period, the memo said. Looming over Eltife's work is the search for a new chancellor. Questions abound about how the task force's recommendations will change the job — and whether the system should even hire a permanent replacement until the review is complete. “This process may require hiring an interim chancellor [until the review is complete], which is perfectly appropriate, and allows the regents to capitalize on this unique situation,” said Jastrow, who served as chairman and CEO of Temple-Inland, a company that sold packaging and building products. But Tucker and Eltife said they don’t expect the hiring of McRaven’s successor to be delayed while the task force does its work. In an email to the Tribune, Tucker said the regents saw “no reason why it would be beneficial to wait.” She said the task force’s work was “optimally-timed,” as there are currently “a handful of new UT presidents at the helm and a new chancellor coming on board." The review, she said, would be a “valuable tool” for the new chancellor – especially as that person will have to quickly prepare for the 2019 legislative session. Eltife, who said he would not consider the position of chancellor, said he thought anybody pursuing the post would pay heed to the task force’s work. The University of Texas System, The University of Texas at Austin and Kenny Jastrow have been financial supporters of The Texas Tribune, a nonprofit, nonpartisan news organization that is funded in part by donations from members, foundations and corporate sponsors. Financial supporters play no role in the Tribune's journalism. Find a complete list of them here.